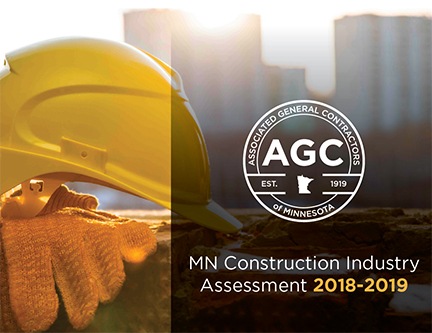 The annual AGC of Minnesota Construction Industry Assessment provides an in-depth look at the current and future status of Minnesota’s construction industry and construction economy. The assessment surveys all segments of the construction marketplace – architects, engineers and contractors. Responses are segregated by division between the commercial building and highway sectors, and by general contractor, specialty subcontractor and suppliers/providers.